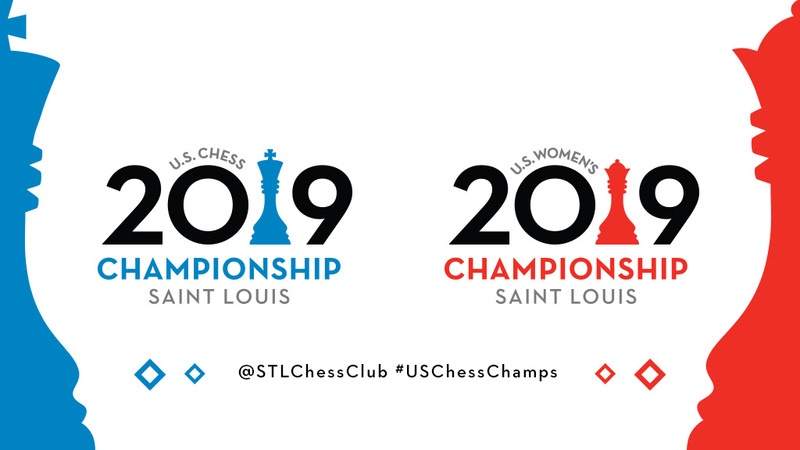 In yet another unpredictable day at the U.S. Championships, we saw an eclectic mix of games and outcomes. In the open section, the event’s newcomer Leinier Dominguez played a technical masterpiece and won his game against Sam Sevian. 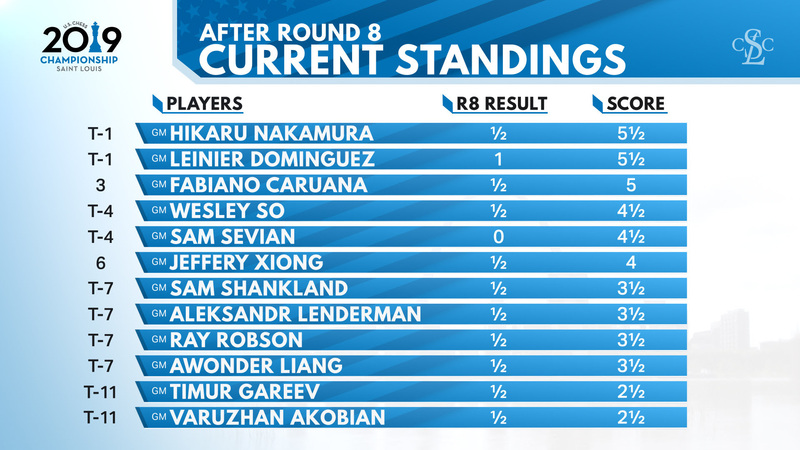 All the other games were drawn, which means that he is now in joint lead with Nakamura while a pack of chasers are following closely. In the Women’s section, we had three decisive results, but only one which was relevant for the leaderboard. 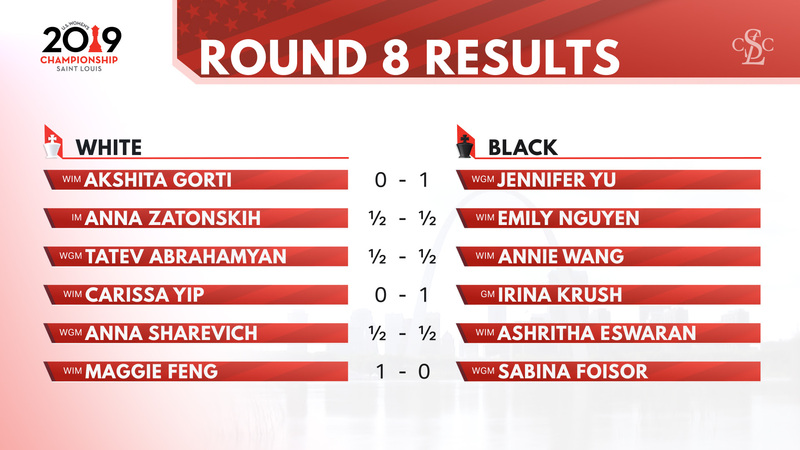 Jennifer Yu scored another massive victory in her game against Akshita Gorti, while Anna Zatonskih missed an important opportunity against Nguyen. 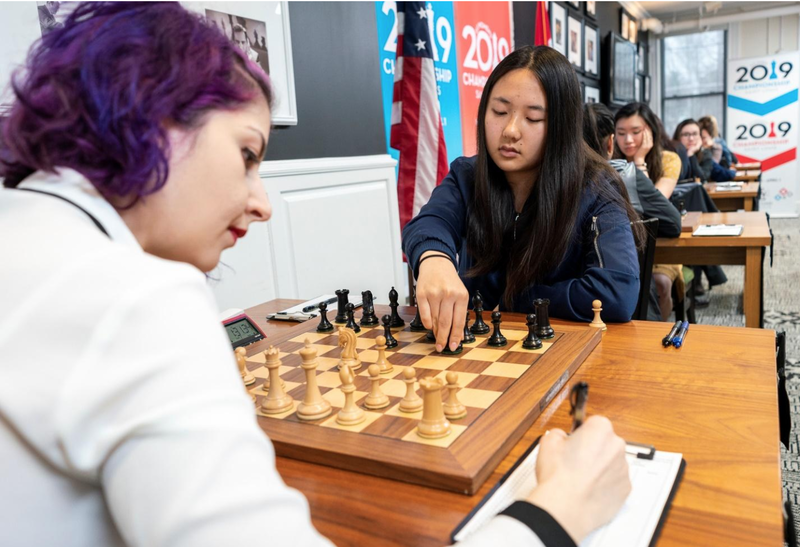 Another big clash was the game between Abrahamyan and Wang, which started off promising but ended suddenly when the players reached a standstill. Irina Krush and Maggie Feng also score important victories. They will continue to pose problems for the leaders and try to play the spoiler role in the final rounds. Let’s take a closer look at the action games of the round! Without a doubt the game of the round. This was a complete masterpiece by Dominguez, as he played a proper game from the beginning to the end. The opening was well played, with both competitors knowing the ins and outs of the solid Semi-Tarrasch variation of the QGD. The middle-game was a rather balanced affair, but the ensuing endgame had only one protagonist, Leinier Dominguez. Let’s check the game further (analysis available online)! The highest rated encounter of the round, and surely a match a lot of people were interested in checking was the big clash between the number one and number two American players. Unfortunately for the fans, the game did not produce the level of excitement people expected. Caruana decided to test So in his pet opening, the Catalan. Wesley has been a staple of authority in this opening with both colors. I analyzed his games often while he was on his meteoric 2650-2800 rise and the one opening in which he was scoring win after win was the Catalan. The guy simply has an incredible feel for the opening’s structures, as well as for the small details that make a difference at the top level. Today was one of those cases, as So made an inspired decision when he chose the principled, yet off trend, 9…Nd5-e7 maneuver instead of the recently played and analyzed 9…Be7. 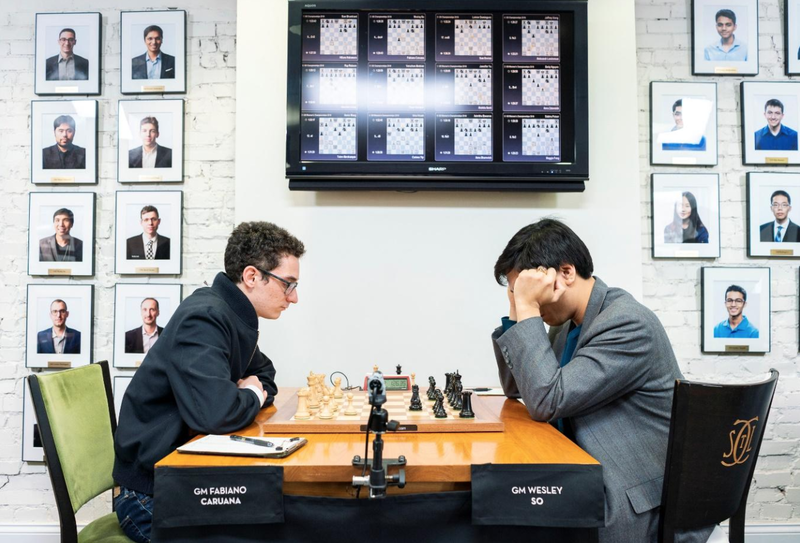 Caruana wasn’t able to find anything more than enough compensation for equality, and the players soon entered an endgame in which only Black could have been better. Unfortunately for So, he did not find the right way to press for an advantage and the game quickly petered out into a draw. This was undoubtedly the game of the round in the Women’s section. 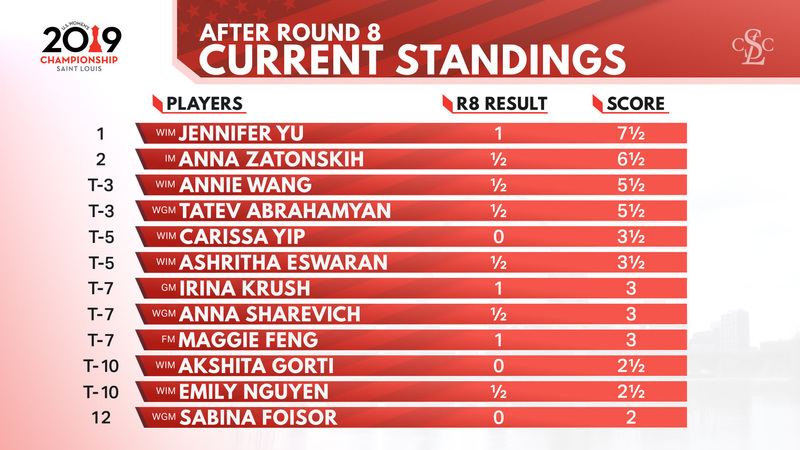 Jennifer has been having an incredible run, winning 69 (!!) rating points. This type of performance simply changes you as a player. The confidence boost and the wind under your sails that comes with it is unparalleled. Let’s see how the game transpired as we are delving into GM Boros’ match analysis (available online). A match with everything on the line was the one between Abrahamyan and Wang, as they were both on the same score and trailing the leader by a point and a half. Both players came to the board well prepared, as they quickly entered a topical line of the Najdorf. 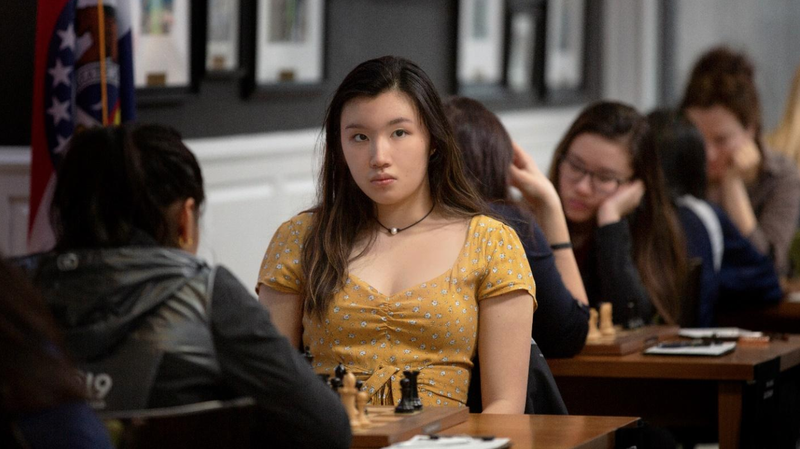 I would typically always give Abrahamyan the edge when she gets to play her brand of tactical game, but Wang is an absolute pro when it comes to concrete, sharp play. Abrahamyan’s time management was subpar, as she allowed herself to get into huge time trouble and miss several opportunities for an advantage along the way. Wang also had her chances, as she could have opened another avenue for her pieces with the powerful, yet counterintuitive, 27…gxh6! This would have allowed her to build an advantage despite the “g” file opening. Wang’s 27…g6 closed the game and soon forced the repetition, as neither player was willing to take any more risks in their bid to win the match. A very critical, yet not decisive round. The games are heating up and the players will do everything in their powers to outclass their opposition and make their bid for the coveted titles!